A new artist has just been added to the original artwork page. 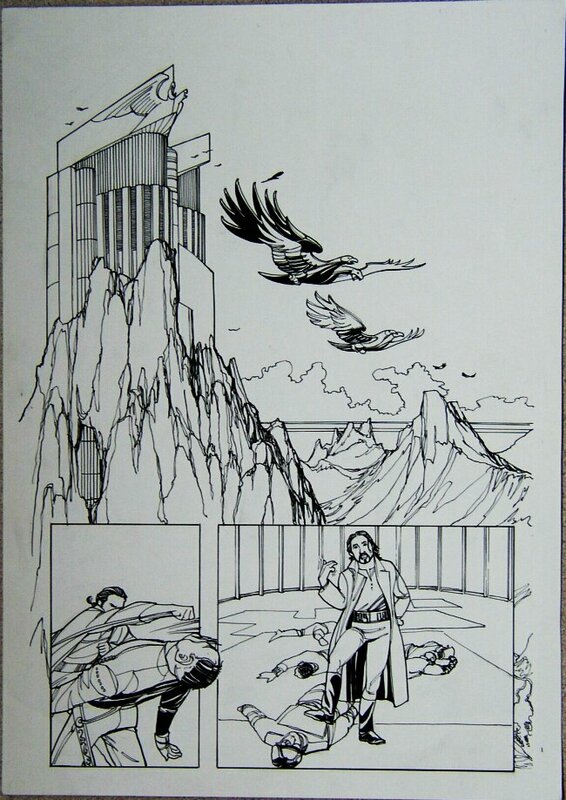 Simon has sent me a selection of Nikolai Dante pages. I haven't uploaded any images yet, but I would advise digging out progs 1134-1137, since I'm particularly impressed by the artwork on The Cadre Infernal. I've bagsied part 3, page 5 for myself. All the pages are b/w, A3 in size, and unlettered. Hurry up with the uploads (pls)! By the way, do you have your collection of art seperately insured? It must be quite a collection by now. I'm not planning on buying one of these because I won a page of Simon Frasers Dante artwork at Shed-con but I have to say the original art is lovely. In some ways it's even nicer than the coloured published pages. Certainly there's a lot of fine detail work that you lose. Basically if you're considerig buying some I can highly recommend it. Lovely stuff, well worth the asking price. Mmm, I think I "need" some of that. Quick flick through tonight I reckon. Nice to see another artist putting their artwork up for sale. If only I could afford it lol. I still have some pages from Gentleman thief to list. I'll put them up tomorrow. The images have now been uploaded. I've just uploaded a further 34 pages, all from The Romanov Dynasty, which means there are now three complete episodes available.